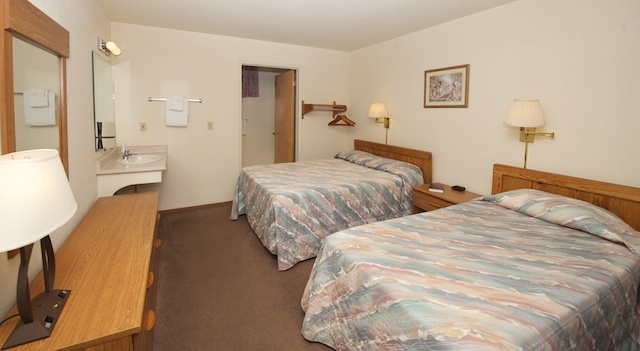 Our most recently renovated lodge, rooms in Berea have either a queen and a twin OR a queen and a set of bunk beds, all linens provided. 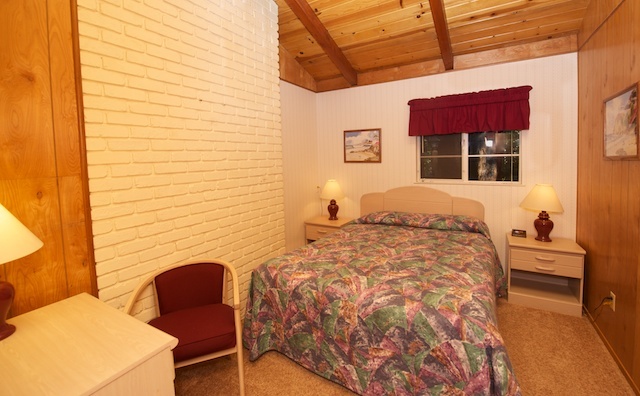 An RCP classic, cabins sleep from 5-9 guests. 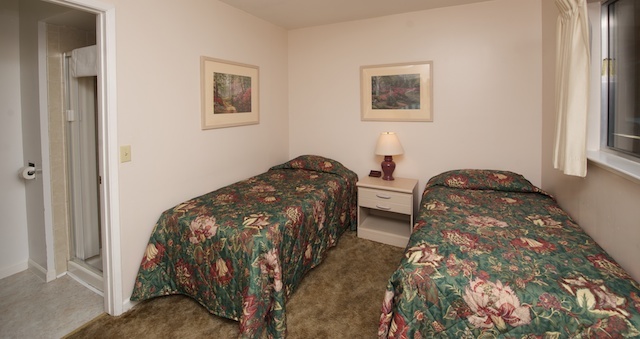 This room of Skyview Cottage features one twin and one queen. 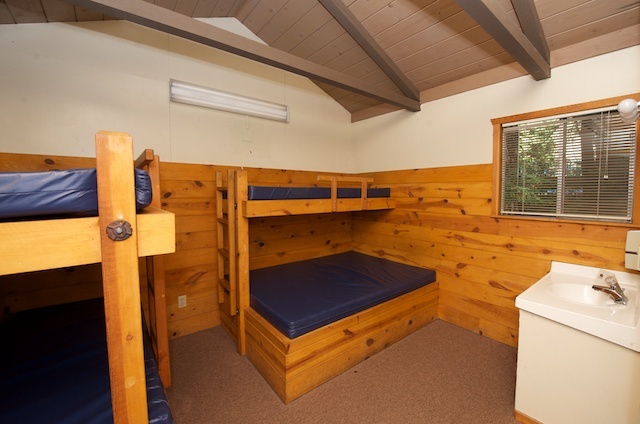 Most cottage bedrooms have queen beds, but some have doubles, others twins. 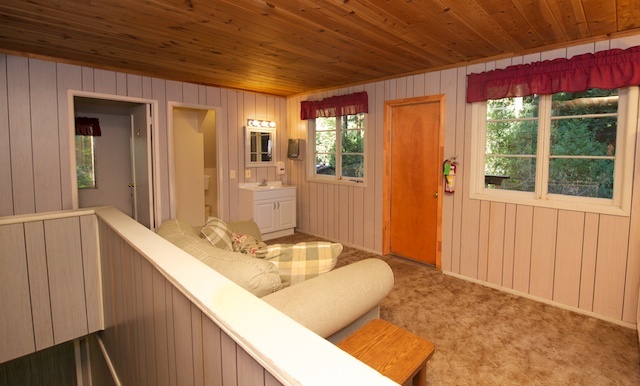 The living room of Skyview Cottage, many at RCP are suitable for small groups and visiting. 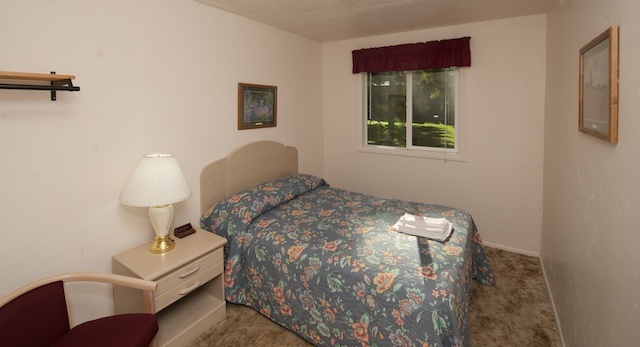 Photographed here is Wildwood Cottage, one of 13 that RCP offers. 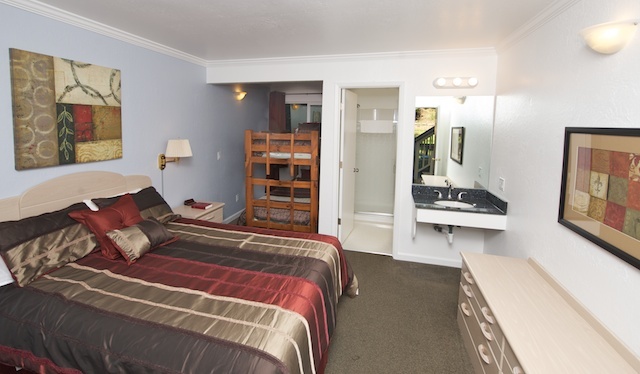 Some rooms in Evergreen have a double and a twin, private bath in all. Redecorated in June 2013, this photo is of the old décor. 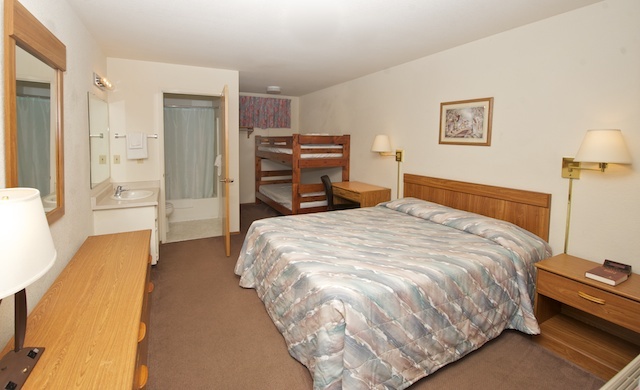 Some rooms in Evergreen have a queen and a set of bunks, others a double and a twin. 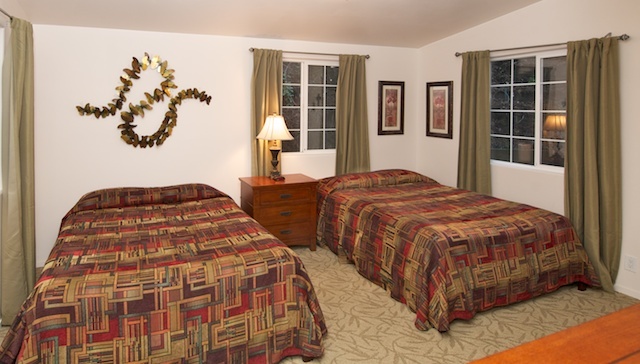 Each room in Hillside has two twin beds, private bath. Redecorated in June 2013, this photo shows the old décor. 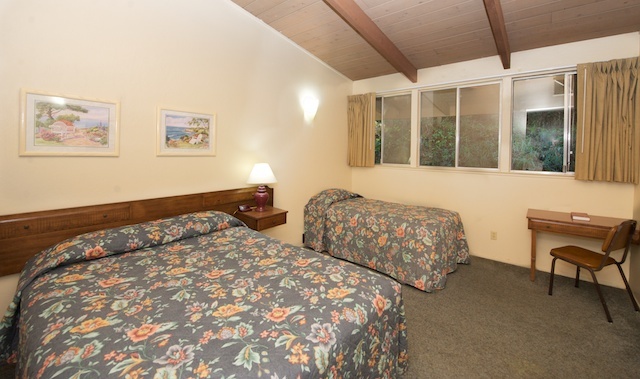 Now decorated in shades of cocoa, green, navy and red, Meadowview is very welcoming. 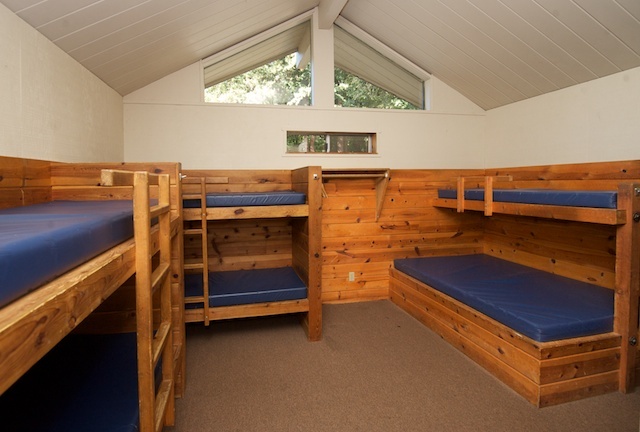 Some rooms in Redwood have one double bed, others two double beds. 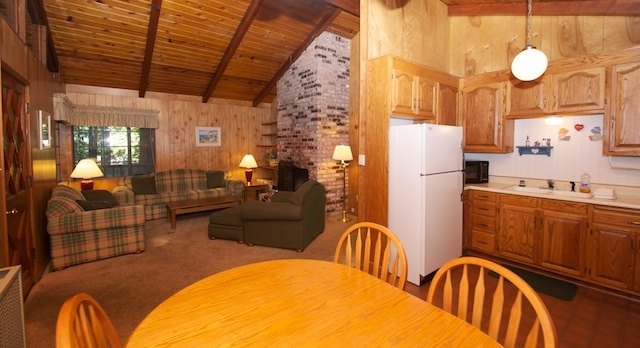 The upstairs living area of Redwood Lodge. 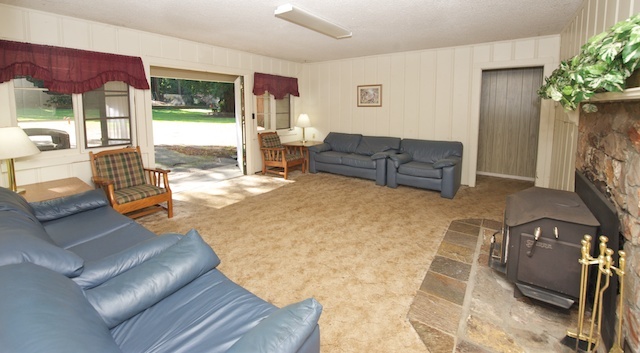 The living room area of the Redwood Lodge.